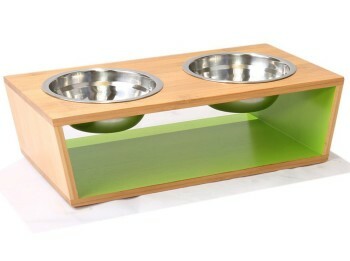 Chelsea Pet is an elevated pet feeder made from 100% natural bamboo with a beautiful design that blends with any decor. 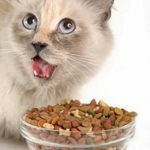 Elevating the food helps the cat’s digestion, reducing vomiting and keeping your pet healthy. 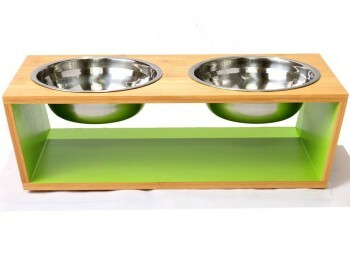 Chelsea bamboo raised feeder is your cat’s own dining table where he can eat and drink in the same place, keeping the feeding area neat and clean. The unit is made from rich, renewable bamboo, with a water-resistant finish that keeps the unit from developing mold and bacteria. The two stainless steel bowls have a good capacity of 16 Oz. each and are dishwasher safe. The unit comes in two sizes, Small and Medium. 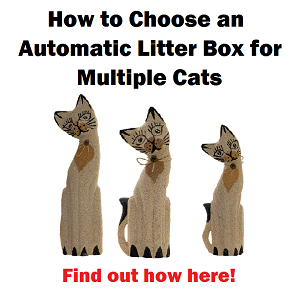 Small size measures 14”L x 6.9″W x 4″H and Medium size, 16.5″L x 7.9″W x 4.7″H. 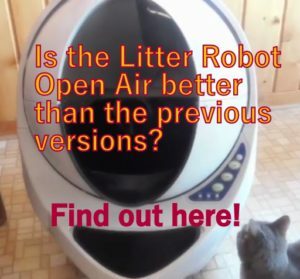 This review is for the small size, suitable for cats. 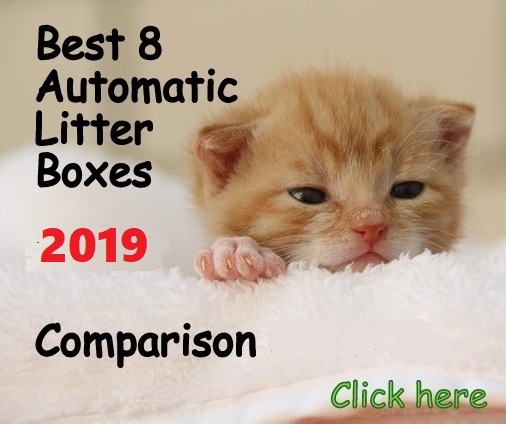 This elevated feeder is a generic unbranded feeder made in China, made of renewable resourced bamboo (renewable resourced bamboo means the bamboo forest can be re-harvested every three years without causing any harmful effects in the environment). The construction of the feeder is solid, however a few customers state that the structure wobbles a little when applying pressure on the top. Chelsea Company has personalized the color of the interior with green, orange and grey. The paint is non-toxic and doesn’t pose a risk to the cat. 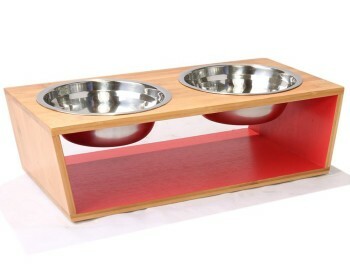 The custom design of this generic feeder is a good option for people that love style and matching the decor at home with unique colors. The panels of this unit are solid, but not as thick as other similar bamboo feeders on the market. 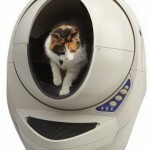 The properties of the bamboo are well appreciated when it comes to a pet feeder. It’s well known that bamboo doesn’t allow the absorption of moisture thus doesn’t create the conditions to harvest bacteria and mold. Bamboo it’s an hygienic material that is safe, especially considering that kibble and water are often mixed and sitting on top of the stand. WHAT ARE THE PROS AND CONS OF CHELSEA BAMBOO RAISED FEEDER? Bowls have a good capacity of 16 Oz. each so you don’t need to refill often. 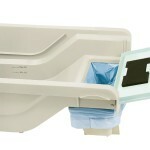 Hassle free because it comes ready to use, no assembling required. The unit is environmentally friendly, made with renewable bamboo. Construction is a little wobbly, if you put a little pressure to the sides the feeder wobbles a little, but not too much. Stainless steel bowls are not very thick. 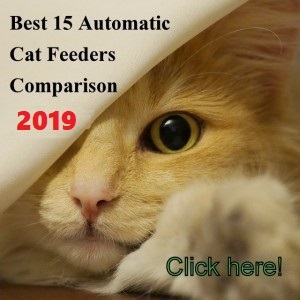 Even though the Chelsea Bamboo elevated feeder is labeled made for dogs and cats, this particular feeder is more suitable for dogs because the stainless steel dishes are on the deep side. This means that when the food or water is half full (or less) this forces your cat to lean over more than the ideal for a raised feeder in order to finish its meal. 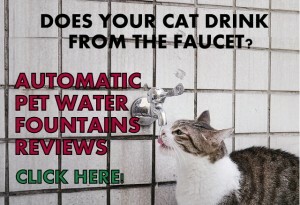 To prevent this from happening you would need to keep the bowl filled to the top at all times which defeats the purpose of free feeding your cat which is not having to pour food into the dish all the time. However, there are some cats that get used to eat from deep bowls with no problem since felines in general are very versatile animals. Chelsea Bamboo elevated feeder looks very nice, better in person than in pictures, and it adds style to your kitchen or living room providing a nice feeding area for your pet, made from natural bamboo. However, some customers complain that the feeder is not stable because it wobbles a little. Having this into consideration and due to the fact that the bowls are too deep for a cat to eat without having to lean over too much, I would research further for sturdier and more ergonomic options. 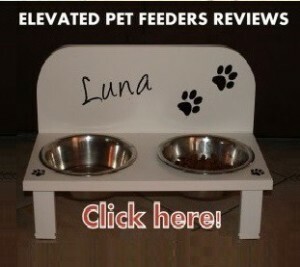 Update: Currently, this elevated feeder is not available. 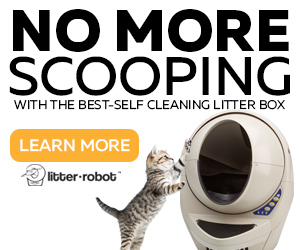 Check a full list of different elevated feeding stations and bowls to get the ideal for your cat.